In this day and age of social media, travellers – especially millennials – no longer just look for regular hotels, but hotels with character (read Instagram-worthy). 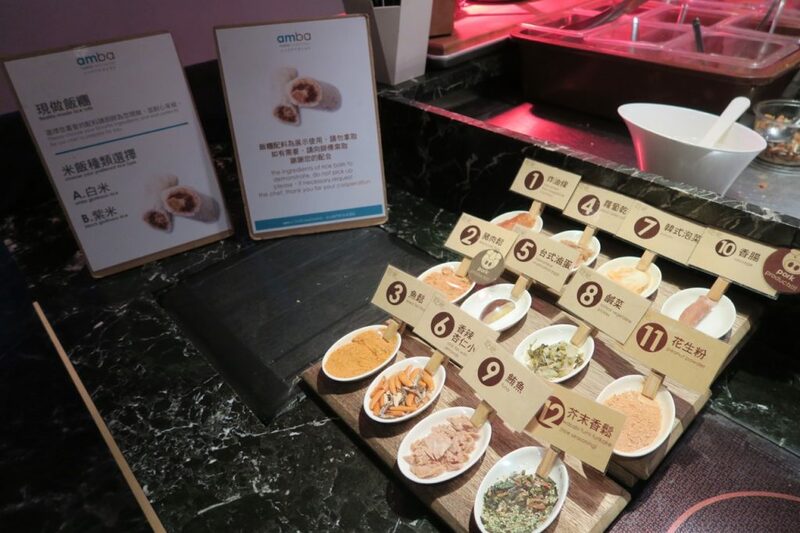 For a recent trip to Taipei, I found just that in amba Hotels. 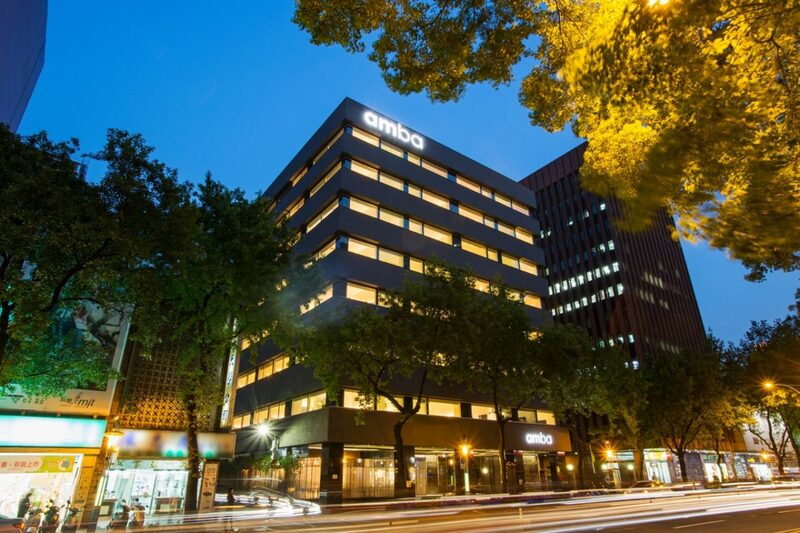 The first of three hip design hotels, amba Taipei Ximending, was launched in 2012 by Ambassador Hotels to coincide with the group’s 50th anniversary. 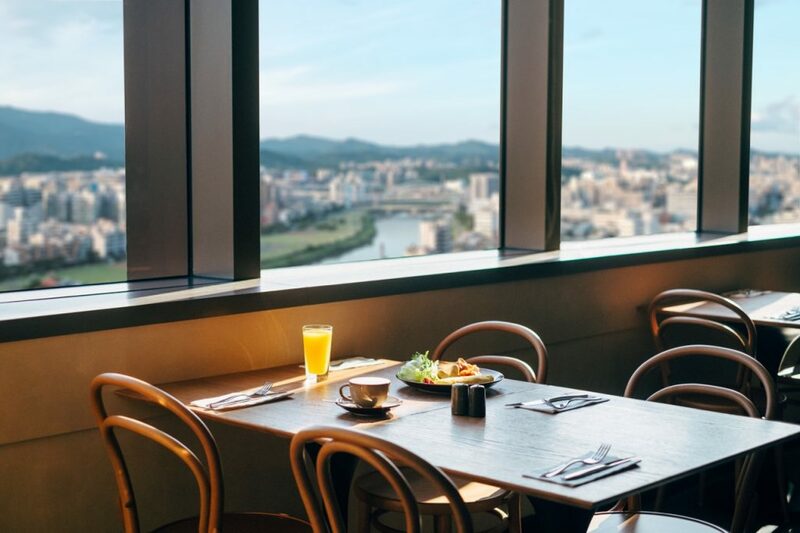 With its modern yet playful and energetic vibes, amba Hotels in Taipei offer the savvy and new age travellers everything they can ask for – and more when it comes to creativity, connectivity and conservation details. 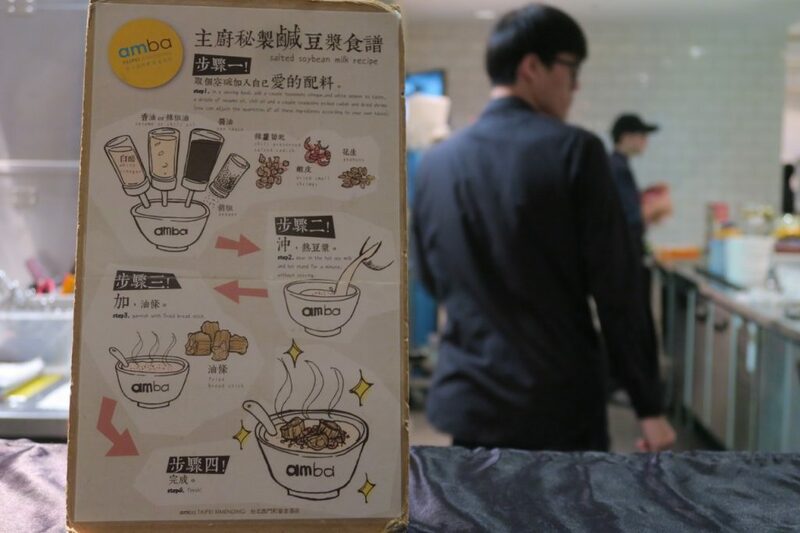 Located in the west of Taipei, amba Taipei Ximending was converted from an old departmental store named Lai Lai Departmental. It currently takes up the upper floors of popular Eslite shopping complex. 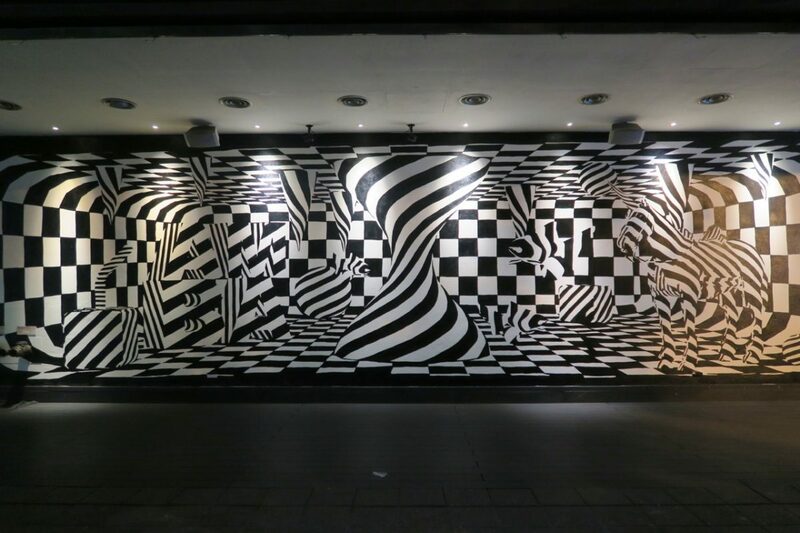 One striking highlight of the hotel is its attention to art and support towards local talents. I was awed by the hand-painted monochrome art piece on the street level with the brand name cleverly disguised, the four sticker-made portraits in the lobby space and the eight-metre reception desk made with 2,012 plastic bottles that glow opalescent at night – my personal favourite. Did you manage to see the word AMBA and a couple of animals? The five-storey atrium is topped with a glass dome that brings plenty of natural sunlight into the lobby during the daytime. All six-room types are designed to be minimal yet functional and each storey of the guest rooms pays homage to the historical culture of the neighbourhood – be it in design, cinematography or music. 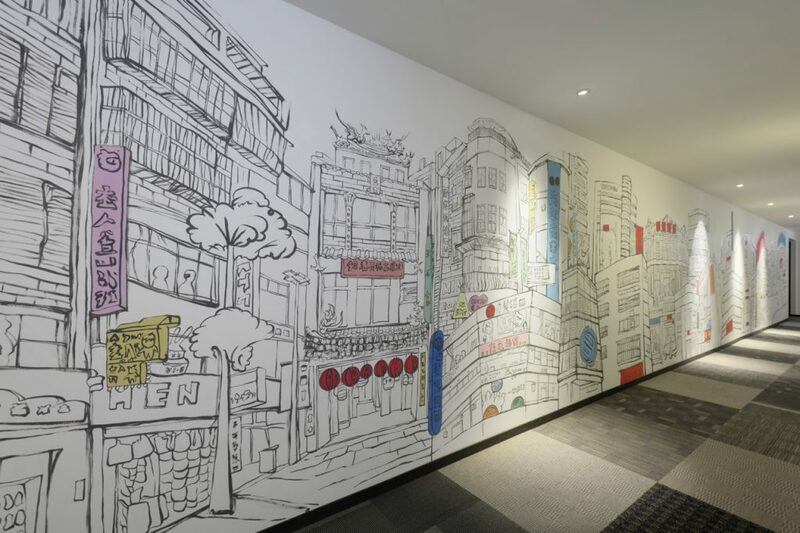 I’ve had the pleasure of staying at the Loft Room during my stay, situated on level seven with a cinematography theme and murals depicting the famous sights and foods of Ximending along the corridor. Some of the historical buildings and cuisines can still be found in Ximending today. Image courtesy of amba Hotels & Resorts. What I loved most was the sheer size of the room. I also adored the design elements such as recycled tin barrels reused as tables in the loft living space and the amenities including an open-wardrobe system that encourages guests to utilise it and an amba-standardised long marble table within the open-concept toilet that allows for two people to use concurrently. 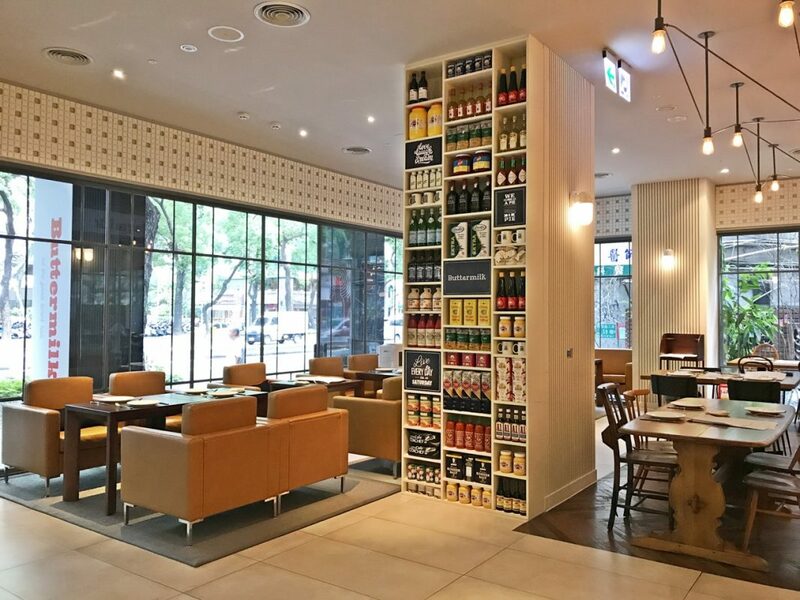 In terms of dining options at the hotel, chiba Restaurant is a casual setting comprising an open kitchen, communal seating and a rich display of collectibles, memorabilia, books and organic herb plants to bring out the design DNA of the hotel. Here, I enjoyed a local and international breakfast buffet spread such as a customised purple-rice roll, hashbrowns and my usual cup of long black. I tried the fried dough fritters, pork floss and salted vegetable as recommended by Patricia, the hotel manager. 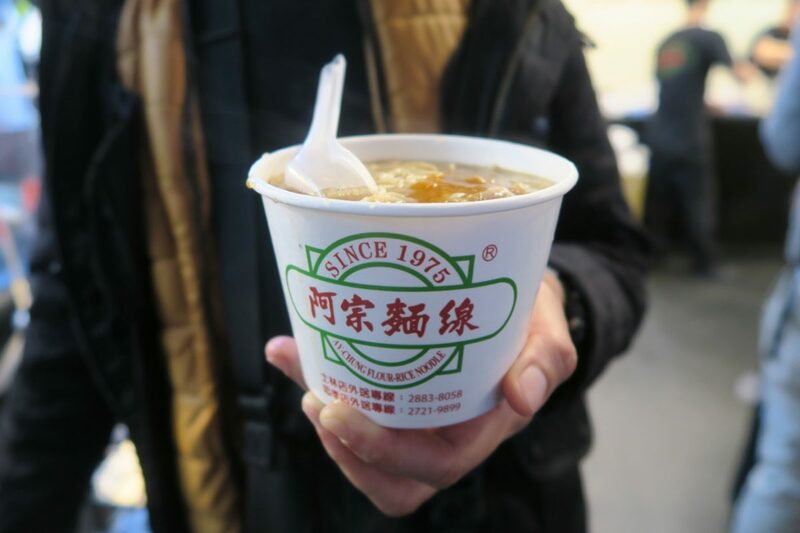 For those who may be afraid to eat at street stalls, the hotel offers one of Taiwan’s most traditional breakfast options – Salted Soybean Milk! 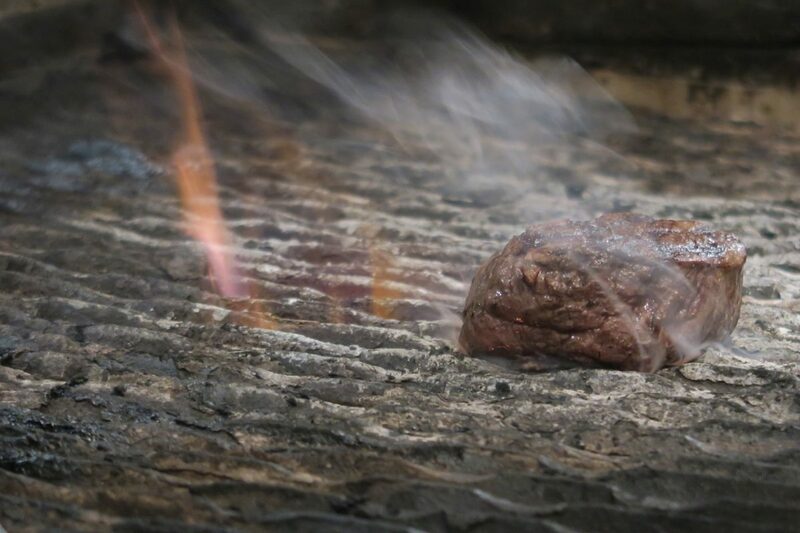 At lunch or dinner, the restaurant serves a selection of Detroit-style square pizza or other healthy salads, pasta or meat dishes. 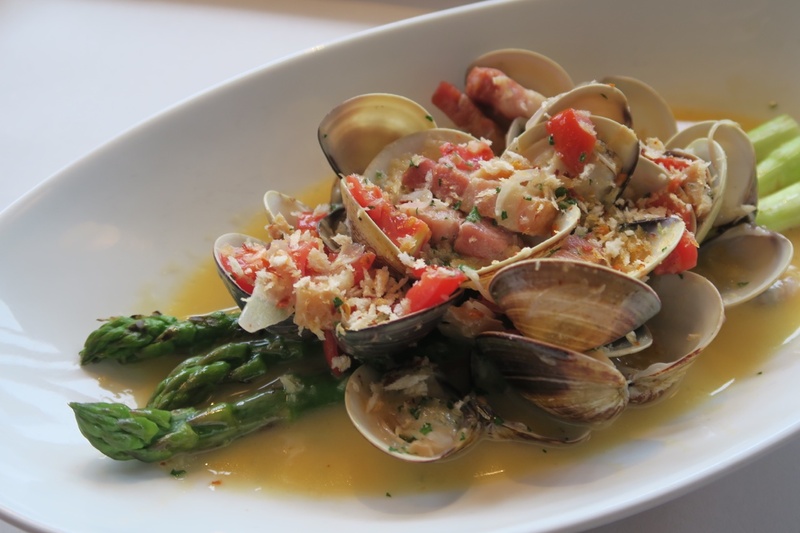 I highly recommend Ocean Bliss: Happy Clams & Super Asparagus and the Seafood Spaghetti made with squid-ink pasta and the freshest seafood. 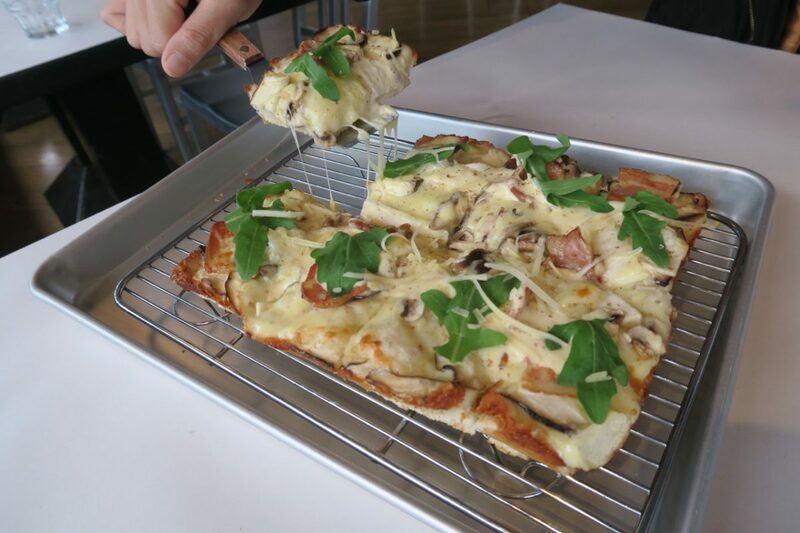 Truffle Mushroom Detroit Pizza – perfect for those who love bread. The hotel couldn’t have been located in a more central location. Ximending’s vibrant energy coupled with the cultural heritage of the location makes it truly exceptional and a must-visit for any first-time visitors of Taipei, Taiwan. 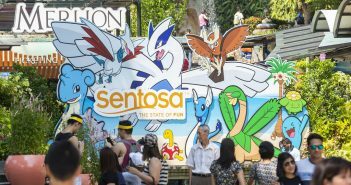 Try these street food and you will never be satisfied with the ones in Singapore ever again — Ah Zong Mian Xian, Hao Da Chicken Cutlet, Yong He Soya Milk or any of the local shops selling Smelly Tofu (not for the faint-hearted). You’ve been warned. 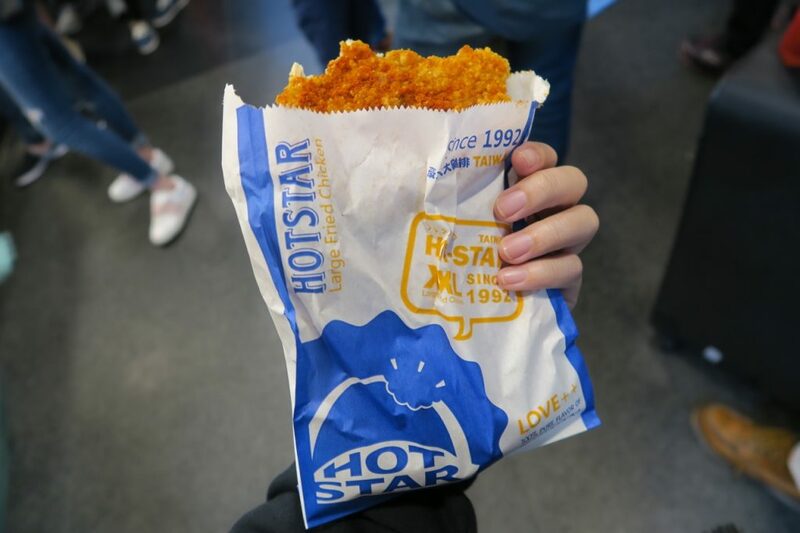 The hot chicken was too enticing not to bite into it right before a picture, loving how non-oily this fried chicken cutlet is. A must-try in Ximending – Ah Zong Mian Xian tastes absolutely nothing like Shih-lin Meesua in Singapore so you’ve got to try it. 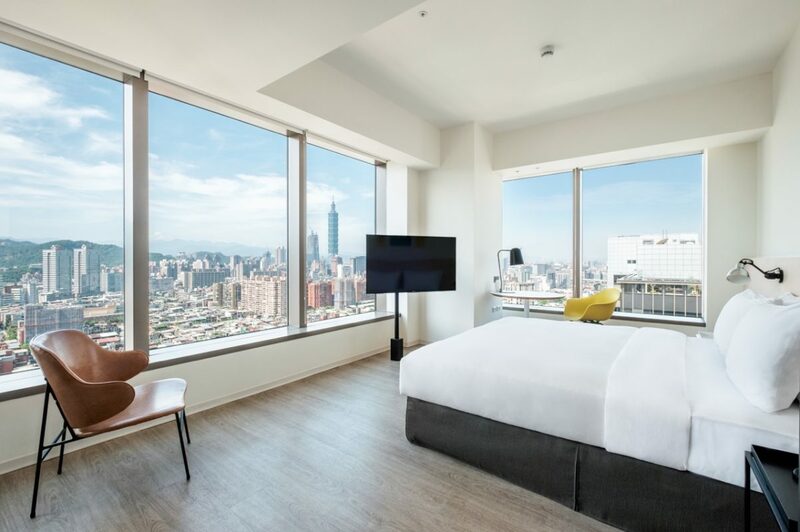 amba Taipei Songshan is the newest of the three amba hotels and overlooks Taipei’s skyline, including the iconic Taipei 101 tower. The visibility was reasonable despite the bad weather during my visit. 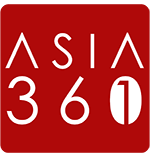 Established in 2016, this 189-room smart hotel is perfect for tech-savvy travellers as all the rooms and hotel spaces offer complimentary Smart WiFi at high-speed data transfer rates, individual access point for optimal WiFi experience, a 48-inch Smart TV and excellent Wireless Bluetooth® speakers. 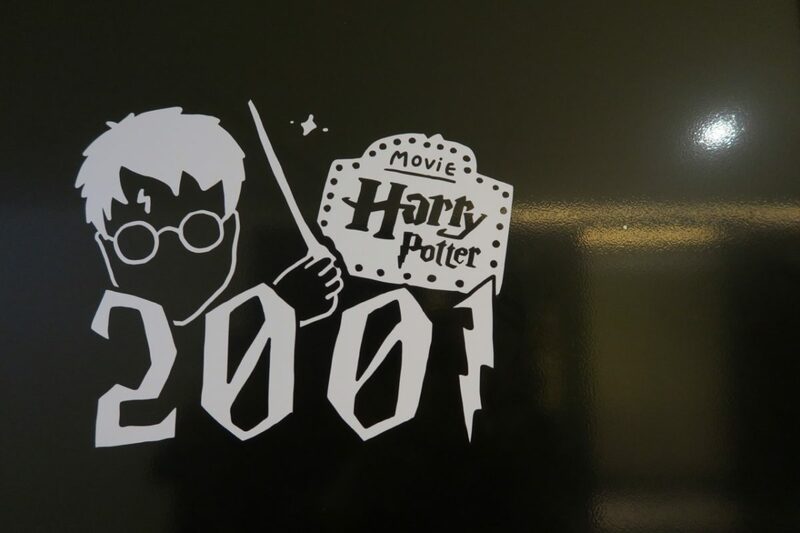 Other thoughtful extras include a small yet functional fitness room and unconventional yet fun designs on room doors that portrays one main event that happened that year. Quirky door designs make a walk down the corridor a joy. Although I didn’t get the opportunity to be a guest here, I visited Que woodfired grill – a modern approach to the classic chophouse – at the hotel. The seven-metre-high ceiling with giant bamboo lanterns provided an elevated dining experience together with the panoramic vistas of the city skyline and its surrounding nature. 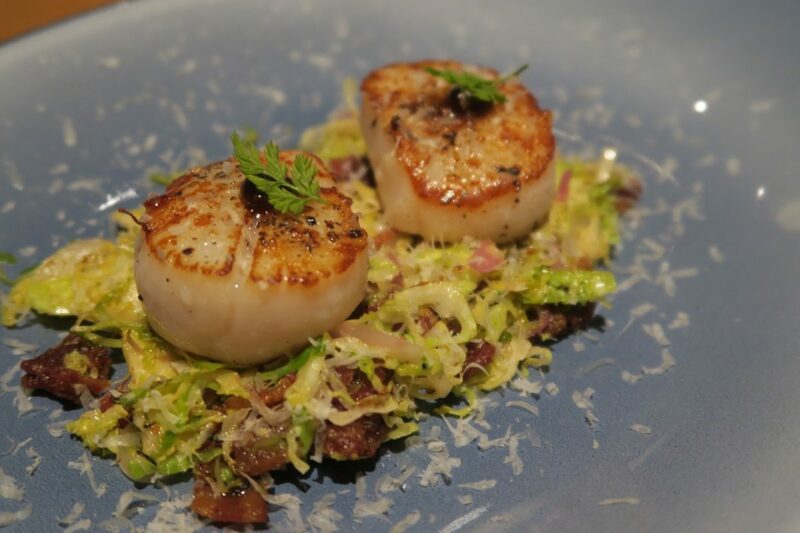 The four-course set menu really is more bang for the buck as it includes choices like Seared Hokkaido Scallops, Beet-Cured Smoked Salmon Caesar Ssalad, USDA Beef Tenderloin and Lemon Meringue – all of which were tried, tested and loved by myself. 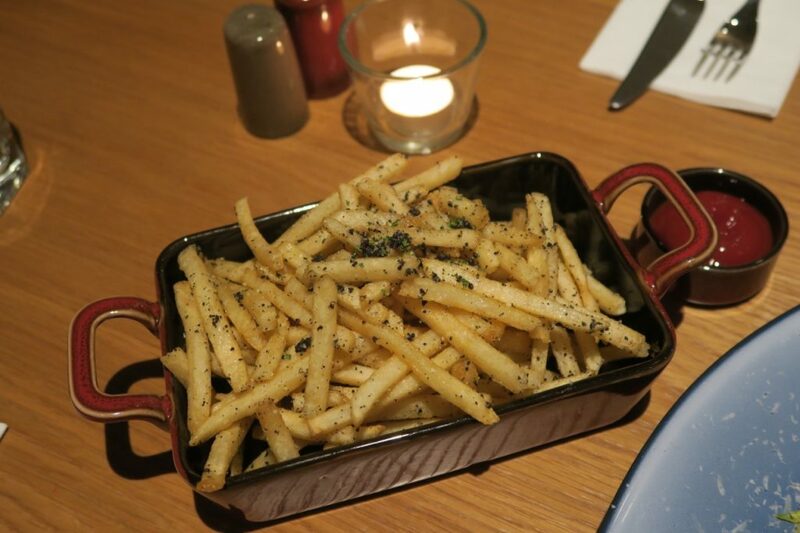 amba’s Marketing Manager’s personnal recommendation and favourite – Que’s truffle fries! 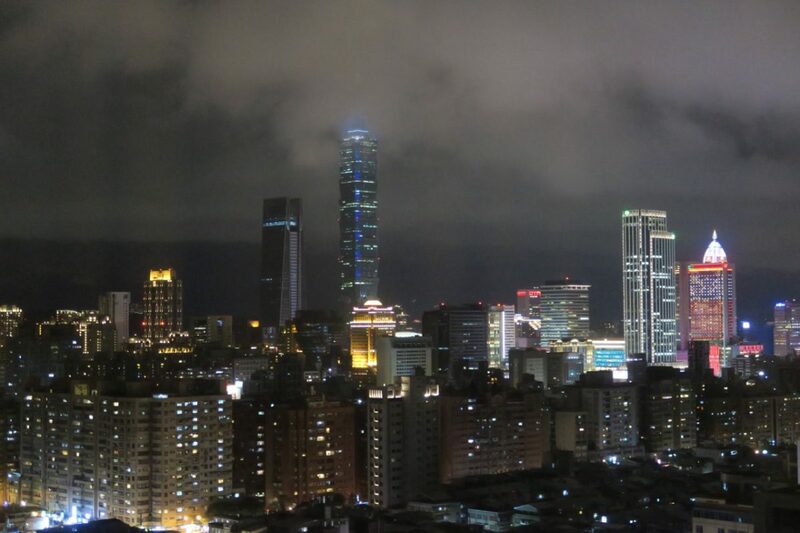 If you’re one who loves a culturally rich neighbourhood, then amba Taipei Zhongshan might be your best bet. Cultural gems such as SPOT Taipei Film House and Taipei Museum of Contemporary Art (MOCA) are all within walking distance of the hotel. It is also the perfect base to explore citywide attractions with Zhongshan Metro Station being minutes’ walk away from the hotel. 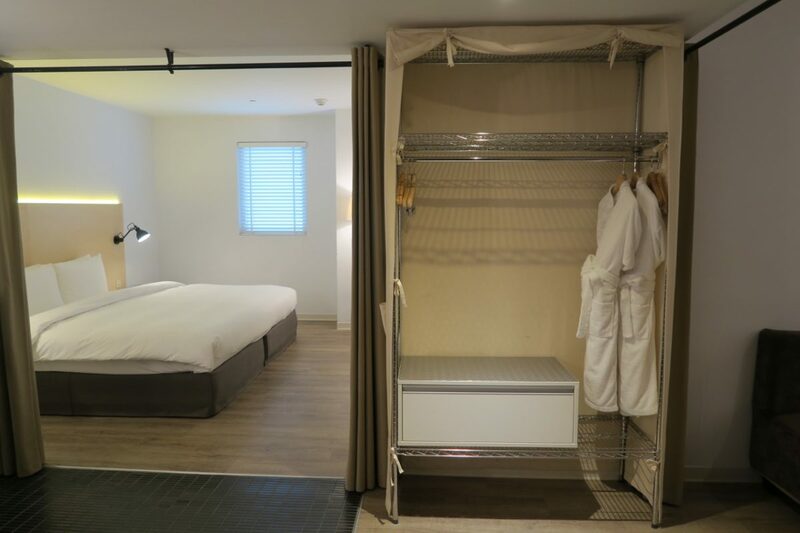 Apart from design and amenities previously mentioned, amba Hotels also include multiple universal power plugs on most of the walls within the room, and provide a complimentary self-service laundry room for all amba guests. With washers, dryers and laundry detergent provided, travellers no longer need to bring extra clothing for a long holiday and/or bring home dirty laundry post-trip. 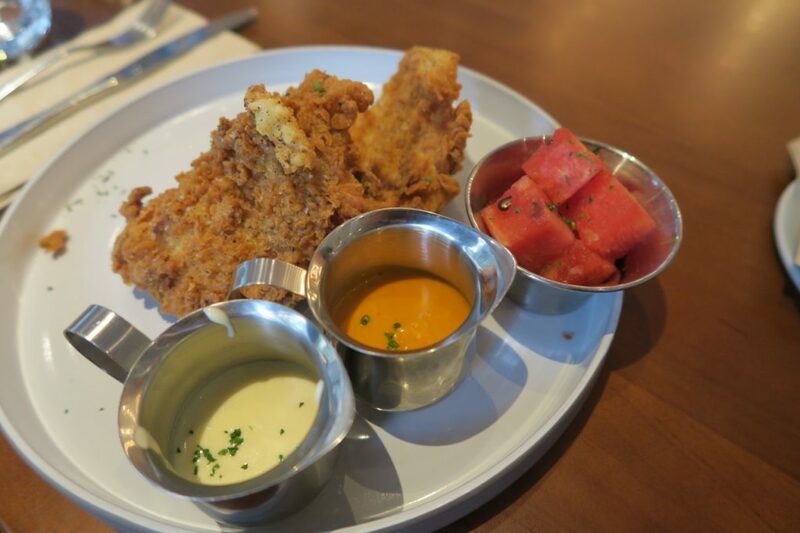 Western cuisine lovers will find delight in dining at Buttermilk – a modern American restaurant on the ground floor of amba Taipei Zhongshan Hotel. 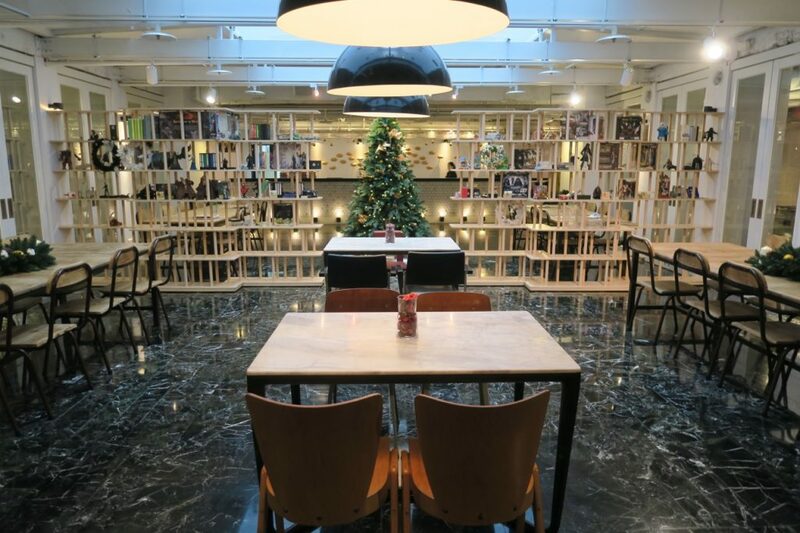 This fun, urban dining spot is fronted by large picture windows and offers a prime view to the beautiful tree-lined Zhongshan North Road. And oh, I think I should give special mention to the Homemade Classic Buttermilk Biscuits, Grandma’s Buttermilk Boneless Fried Chicken and Dark Chocolate Ganache Tart – all of which were delectable.Before my night flight home, I took a moment to lounge on the cosy tan leather sofas by the window and had my brunch while people watching. Fried tenderised chicken without bones? Checked! Josmin is a writer by day and gym rat by night. Being an active girl, she hopes to conquer most of the adrenaline-packed activities in the world.